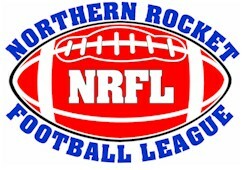 Beginning the fall of 2015 the NRFL has made changes to the youth football league playing levels. The levels of play will now be GRADE based not age. The weight limits will still be imposed, if a player exceeds the weight limits the player will be required to play on the offensive or defensive line and can not carry the ball on offense. These new rules will allow players to play with their classmates throughout their youth football experience.